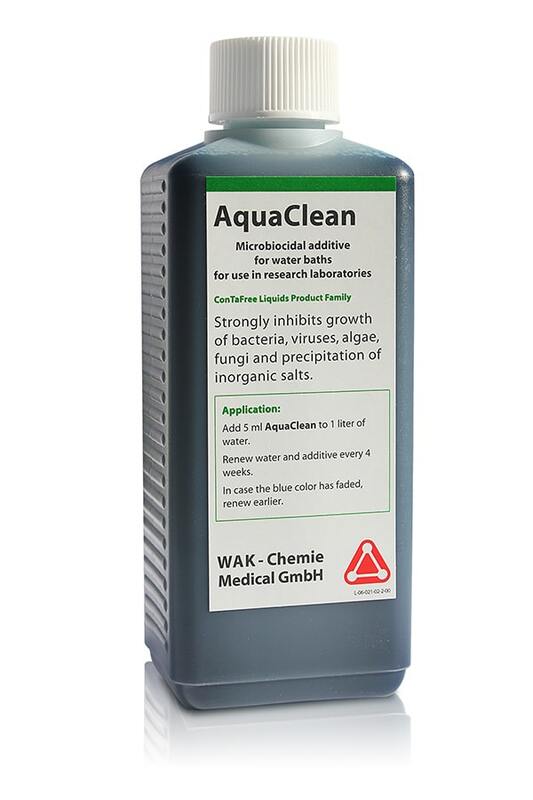 Aquaclean 09-WAK-AQ-250-50L | Cymit Química S.L. The AquaClean is a microbicide additive for stainless steel thermostatic baths. It prevents the growth of bacteria, algae, fungi and also the precipitation of inorganic salts. - AquaClean is blue in colour and bacterial contamination is indicated by discoloration of the fluid. - Add 5 ml of AquaClean to 1 liter thermostatic fluid bath.